Just got my Xtracycle built and I LOOOOOOOVE it! 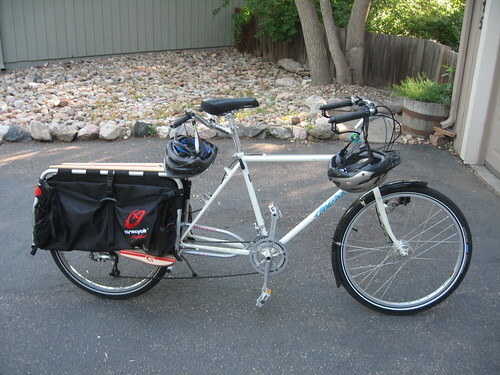 It's built around an old Specialized Hard Rock frame, and has a Sturmey-Archer front drum brake, which has proven really useful for long steep hills with groceries or a 7-year-old boy. Many thanks for the gallery!